The Closing Ceremony for the 2012 Olympics was about thanking London for its hospitality, displaying the world’s best competitors, and celebrating the next Olympics in Rio de Janeiro in 2016. 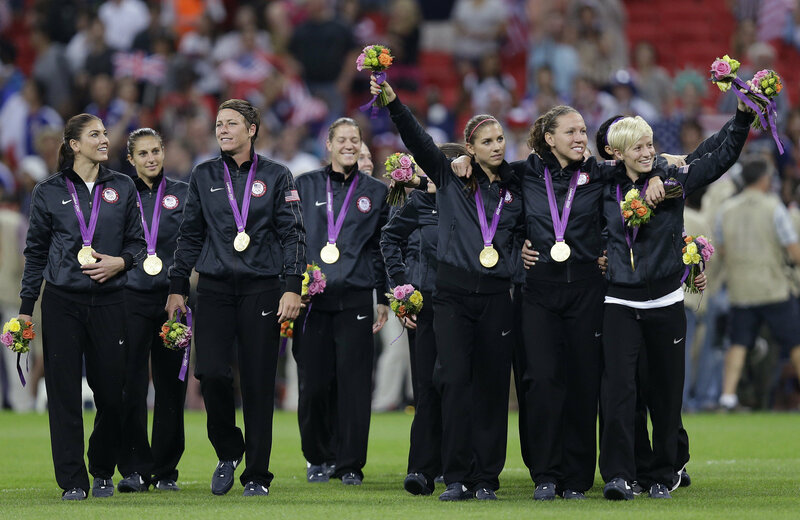 While watching the Closing Ceremony a week ago, all I could think about though was my favorite USA team to watch throughout the Olympics, the USA Women’s Soccer Team. To be honest, I’m a sucker for a great sports story. I love when a group of athletes can come together and fight for a common goal with class, dignity, and respect. This particular USA Women’s Soccer Team has a unique identity that I haven’t seen in many teams. They have determination and resiliency that not a lot of teams have, and this is one of the main reasons why they won the gold medal. Team USA went on the win their first match of the Olympics against France 4-2. This was one of their most impressive wins of the Olympics. Down 2-0 13 minutes in, Team USA went on to score four unanswered goals to win the match. Morgan’s goal at the 31st minute made the score 2-2 at halftime. Morgan ultimately scored two goals in the victory, Wambach scored one goal, which was her 139th goal in international play, and Carli Lloyd scored the winning goal to make the game 3-2 in the 55th minute. Team USA fought back in the most difficult of circumstances and were able to pull out the win. Their next match was against Colombia, and they ultimate won 3-0 to send themselves to the quarterfinals. Megan Rapinoe scored her first Olympic goal, Wambach added her 140th goal, and Lloyd scored the third goal. 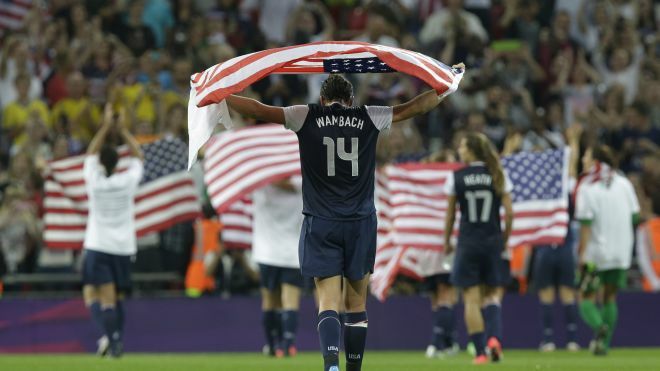 They faced North Korea next and won 1-0 on Wambach’s 141st international goal, which also gave them the Group G title. Their next match was against New Zealand, which they ultimately won 2-0, which sent them to the semifinal round. Wambach scored her 142nd international goal (her fourth in four games), and Sydney Leroux scored her first Olympic goal. Team USA faced Canada in the semifinals, and this proved to be the defining match of their Olympic run. This match was a showcase of two of the best women’s soccer players in the world, Christine Sinclair and Abby Wambach. Sinclair scored the first goal for Canada. Team USA didn’t even the score until the 55th minute off of Rapinoe’s amazing, curling corner kick shot. Sinclair would score again to make the score 2-1, but Rapinoe would answer back again to tie the game at 2-2. Sinclair scored yet again off of a perfectly placed header, which gave her a hat trick and 143 international goals, which put her ahead of Wambach, at the time, on the list of the most international goals scored (Mia Hamm has the most with 158 goals). With the game at 3-2, a controversial hand ball was called inside the penalty box against Canada, so Wambach was awarded a penalty kick in the 80th minute, which she scored on and tied the game at three. Team USA had 27 shots on goal compared to only seven from Canada, but Sinclair’s play was almost too stellar for Team USA to handle. At the end of regulation, the score was still 3-3, so the game went to two overtime periods. In the second overtime, it appeared as if penalty kicks would have to decide this brilliant match. However, Morgan was due for a goal since she hadn’t scored since the first game against France. Three minutes were added on for stoppage time, and with just 30 seconds left in the final overtime period, Morgan headed in the game-winning goal. This goal represented a giant sigh of relief for everyone watching and playing in the game, and it also represented the competitiveness and determination that Team USA had displayed throughout all of the Olympics. 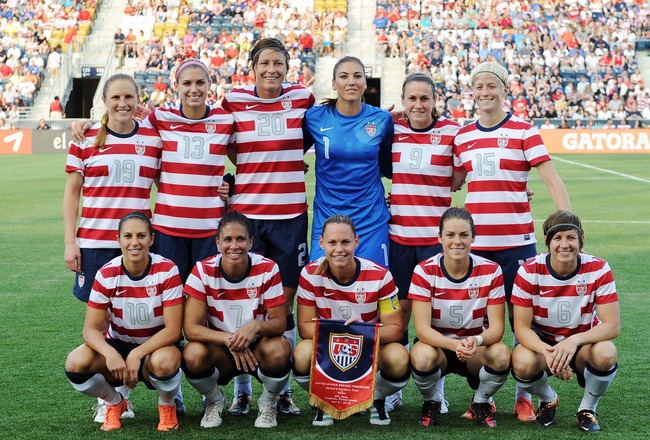 Team USA would take on Japan in the gold medal match, which created a re-match of the emotional 2011 World Cup. “Last time in the World Cup, they got the better of us,” Wambach said before the final match. “I think this time we hope to change that and right that ship for ourselves.” This team has never lacked passion or desire, so this final match was bound to be an unforgettable one. Team USA came out determined to get this win and dominated in the first half of the game. Their passing game was crisp, and Solo looked even more focused than usual, stopping several shot attempts and conducting the defense beautifully. Lloyd, the gold medal hero for Team USA during the 2008 Olympics, became even more of an Olympic hero in this match. She scored Team USA’s first goal off of a perfect cross from Alex Morgan. She would go on to score Team USA’s second goal, which ended up being her second straight Olympic gold medal game-winner. In the second half, Japan showed some more life and put constant pressure on the ball. Their game plan paid off in the 63rd minute when Yuki Ogimi scored Japan’s first goal of the match. However, this goal ended up being their only goal of the game, which was not enough to give them the gold medal. Team USA went on to win the World Cup re-match 2-1, which gave them the gold medal and the redemption that they had been seeking for more than a year. Morgan is right. They are the best in the world right now. Their miraculous and passionate play during the 2012 Olympics is inspiring. Patriotically, this was a huge win because Team USA was able to gain the redemption they needed. For any sports fan across the country though, this win symbolizes a different type of “American Dream.” Any team with that much determination, camaraderie, and work ethic can accomplish anything. This particular USA women’s soccer team brought women’s soccer back into relevance, and they will forever serve as a model of the perfect team. The 2012 All-Star Game MVP, Melky Cabrera, has been suspended without pay for 50 games for taking performance-enhancing drugs. According to CSN Insider Andrew Baggarly, Cabrera tested positive for testosterone sometime during the All-Star Break, but the Giants weren’t informed of the suspension until yesterday before the final game of their three-game series against the Nationals. In a statement released by the player’s union, Melky Cabrera said, “My positive test was the result of my use of a substance I should not have used. I accept my suspension under the Joint Drug Program and I will try to move on with my life. 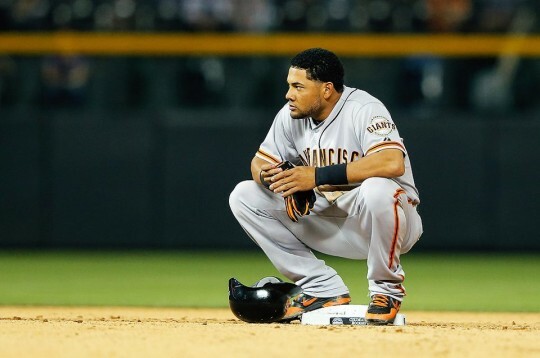 I am deeply sorry for my mistake and I apologize to my teammates, to the San Francisco Giants organization and to the fans for letting them down.” Cabrera will miss the remainder of the season and the first five games of the postseason, if the Giants make the playoffs. However, if the Giants make it to the National League Championships, the timing of the end of his suspension will affect if he will be able to make the final playoff roster, since that is when he could be eligible. Cabrera was having an MVP-like season while leading the National League in hits with 159 and was second in batting average, behind Pittsburgh Pirate Andrew McCutchen, with .346. He also had 11 home runs and 60 RBI’s. Cabrera showed off his fantastic throwing and accuracy in left field on numerous occasions for the Giants. Despite the offensive and defensive prowess that Cabrera has displayed so far this season, Giants fans will miss their everyday left fielder and newfound hero. 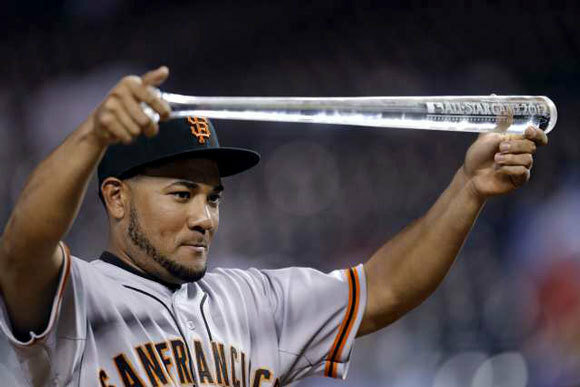 The “Melk-Man” became a fan favorite almost immediately, and many fans hoped that the Giants would be able to re-sign Cabrera in the offseason. It’s a little unclear and quite suspicious when exactly the Giants found out about Cabrera’s drug use because of the timing of his drug test and then later his suspension. The Giants were talking to Cabrera and his agent about a potential contract extension around the All-Star break, around when the supposed drug test happened. Instead of signing an extension, the Giants suddenly announced that they would continue discussing an extension in the offseason, which seemed a little abrupt and unexpected. Perhaps the Giants found out about the positive drug test and wanted to wait to see if it resulted in a suspension before an extension was signed. If a suspension was never announced, maybe the Giants would decide to re-sign him, and vice versa. According to Victor Conte, the founder of BALCO who went to prison for steroid distribution to MLB players, Cabrera is not alone in using performance-enhancing drugs, but he is one of the few that will actually be suspended for it. Conte estimated that about half of all MLB players use some type of performance-enhancing drugs. Based on those odds and the low number of suspensions handed out, the Giants could have perhaps had an incentive to wait and see, regarding Cabrera’s possible contract extension. 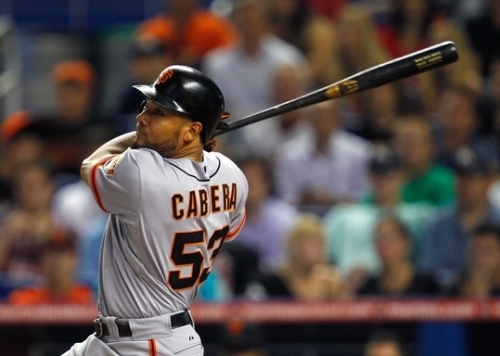 The loss of Cabrera for the rest of the season will force the Giants to step up more than they ever have this season. They are going to have to play near perfect the rest of the season to compete with the Dodgers for the NL West title. Cabrera did not seem like a guy who would use PED’s. He seemed too kind and grateful to be one of those players, but, unfortunately, that is not the case. The Giants are still probably in shock about his suspension, but they need to get over this quickly and start winning games more consistently. As Hensley said, it’s one thing for the players to say that they need to step up without Cabrera, but actually doing it and executing, that’s a whole other ballgame. Last night, the Orlando Magic finally traded center wight Howard to the Los Angeles Lakers in part of a four-team deal. The 76ers will receive center Andrew Bynum and guard Jason Richardson, the Denver Nuggets will receive guard/forward Andre Iguodala, and the Magic will receive guard Arron Afflalo and forward Al Harrington from Denver, center Nikola Vucevic and first-round draft pick forward Moe Harkless from the 76ers, and forward Josh McRoberts and guard Christian Eyenga from the Lakers. 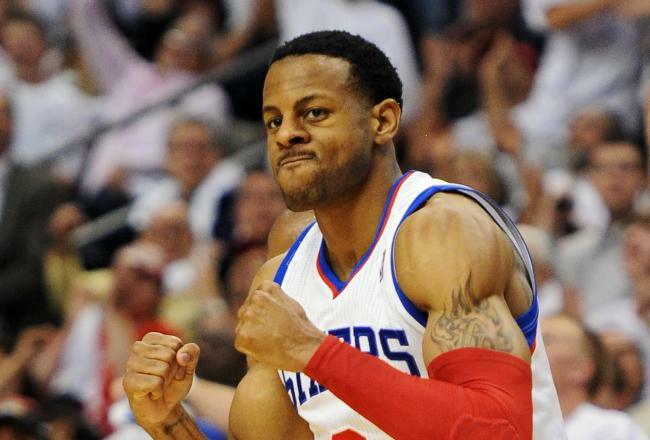 The Lakers also received guard Chris Duhon and forward Earl Clark from the Magic. Although it seems as if the Lakers are the big winners in this trade, the 76ers and the Nuggets also benefited. The 76ers added some strong players, who fill specific needs, to their team with this trade. 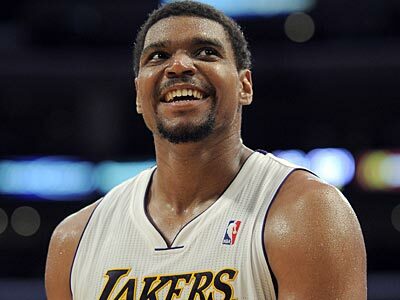 Bynum finally gives them the strong presence at the center position that they’ve lacked for a while now. Richardson adds more depth at the shooting guard position, now that Iguodala and Jodie Meeks are gone. The 76ers are now an extremely deep team after the trade with a roster full of other names like Jrue Holiday, Thaddeus Young, Nick Young, Kwame Brown, Spencer Hawes, Evan Turner, and Dorell Wright. The 76ers are a team to watch out for in the Eastern Conference this upcoming season. 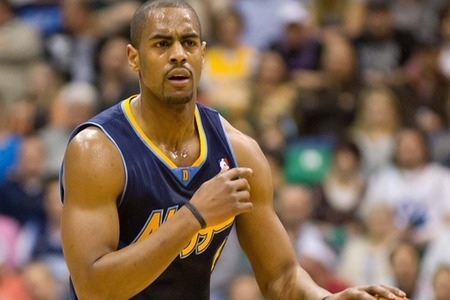 The Nuggets received an All-Star guard/forward in Iguodala, which also adds some depth at the shooting guard position, now that Afflalo is gone. Even though the Nuggets only added one player, they gained one of the best defenders in the league, a great athlete, and a player that can contribute in many different ways. The Nuggets now have a well-rounded roster with players like Wilson Chandler, Danilo Gallinari, Ty Lawson, Javale McGee, Andre Miller, Corey Brewer, and Rudy Fernandez. The Nuggets were already a deep team after the famous Carmelo Anthony trade to the Knicks, so the addition of Iguodala makes this team a serious contender in the Western Conference. The Magic clearly received the proverbial “short of end of the stick” with this trade. They traded the best player on their team, and didn’t receive much back. They acquired a quality defender and three-point shooter in Afflalo, and other than that, they received some expiring contracts and a bunch of bench players. The Magic took on some contracts that other teams didn’t want to deal with, so perhaps they could potentially use these contracts as trade bait. Magic general manager Rob Hennigan even admitted that they are “taking a step back.” However, the Magic have proven with this trade that they are in re-building mode. They want to take the Oklahoma City Thunder approach by building the team through the draft and potentially trading for some quality free agents. The Magic are probably better off without Howard this upcoming season, since he would’ve been angry to be there, but they didn’t get much out of this trade at all. 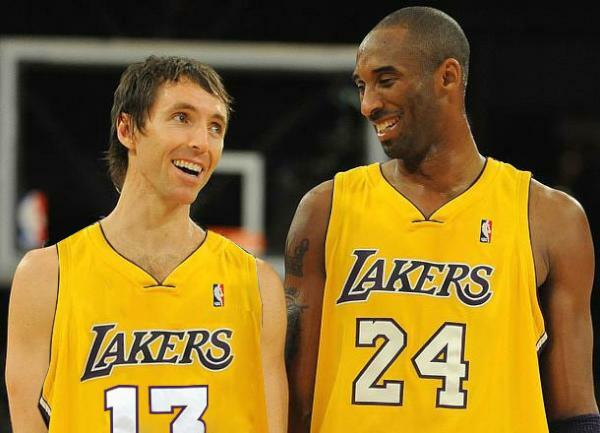 It’s pretty obvious why the Lakers are the “winners” of this trade. They were able to keep Pau Gasol, add some depth to their bench, and, obviously, acquire the best center in the league. With a starting lineup of Steve Nash, Kobe Bryant, Metta World Peace, Gasol, and Howard, this team will for sure be hard to beat, once Howard is fully healthy, and once they’ve had some significant practice time with each other. Nash is the type of point guard that makes everyone around him better, so it’ll be interesting to see what he’ll do with an extremely talented roster. An important fact to remember is that Howard is still going to be a free agent at the end of this upcoming season. 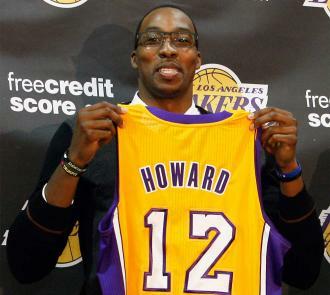 The Lakers are known to be quite persuasive in keeping free agents around, so they have a good chance of re-signing Howard for the future, especially if they win the 2012 NBA Championship. Kobe Bryant seemed pretty confident that Howard would come back when he said, “I’ll probably play two or three more years. Then the team is his. I’m excited for the franchise because now they have a player that can carry the franchise well after I’m gone. This should be his and he should want to accept that challenge.” However, since this team is newly constructed and none of the players have practiced together yet, fans can’t assume that the Lakers are the obvious choice to win the 2013 NBA Championship yet. The Oklahoma City Thunder, the Dallas Mavericks, the Denver Nuggets, and the San Antonio Spurs are all teams that can contend for the Western Conference title. In the Eastern Conference, the Heat, the Bulls, and the 76ers, are all contenders as well. The Heat and the Thunder are the Lakers’ biggest competition for the 2013 NBA Championship. However, this Laker team for this upcoming season consists of five former All-Stars with three MVP awards and four defensive player-of-the-year awards. Kobe Bryant said it best when he described that combination as “unreal.” It won’t be an easy task for the Lakers, but they have to be considered as one of the most serious contenders out there, not just because of the addition of Howard and Nash and the accomplishments just mentioned, but because of how the core of their team is constructed. A team with a core of a point guard, shooting guard, and a center (Lakers) will always be stronger and have a greater chance of winning than a team with a core of a shooting guard, small forward, and a power forward (Heat). The Giants acquired Hunter Pence yesterday from the Philadelphia Phillies in exchange for Nate Schierholtz, one of the Giants’ top prospects, Tommy Joseph, and Class A pitcher Seth Rosin, who is not considered a top prospect. In addition, the Phillies also sent over $500,000 to the Giants to help cover part of the $3.8 million left on Pence’s contract for 2012. The pros of this trade definitely outweigh the cons. Let’s start with the pros. One positive aspect of the trade is that Pence is not a “rental player.” One of the reasons why so many fans disliked the Beltran trade is because his contract was up at the end of the 2011 season, meaning he would become a free agent after being with the Giants for only a couple months, and there was no guarantee that he would re-sign with the Giants. Pence’s contract ends in 2013, so he will be with the Giants through next season, unless the Giants decide Pence is too expensive and trade him at the end of the season (that seems unlikely though). One potential negative aspect is that taking on Pence’s contract could mean that it would be hard to re-sign Melky Cabrera in the offseason. However, Brian Sabean said after acquiring Pence, “There is some flexibility in the budget hopefully to sign Melky and plug what our holes will be in off-season.” Cabrera is a player that the Giants cannot let get away, so it appears as if Sabean will do everything he can to keep Pence and Cabrera around. If the Giants can have Cabrera and Pence in the corners of the outfield next year, that would be a pretty unstoppable combination. Some fans could see trading away the number two prospect, Joseph, in the Giants’ system as a negative, however, it really is not. 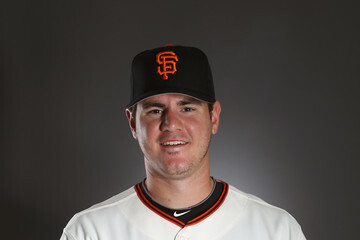 Joseph is a catching prospect, but the Giants already have plenty of catchers in the system with Andrew Susac rising in the ranks of prospects, Eli Whiteside, Hector Sanchez, and, obviously, Buster Posey. With the Giants’ depth at the catching position, trading Joseph is not a big loss. Rosin wasn’t a highly-ranked prospect, so losing him wasn’t too significant. One negative is seeing Schierhotltz go. Giants fans will surely miss “Nate the Great” for his good attitude, all his years with the Giants, his incredibly accurate arm, and his excellent defense in AT&T Park’s strange right field. Schierholtz also had some great clutch, game-winning hits too. 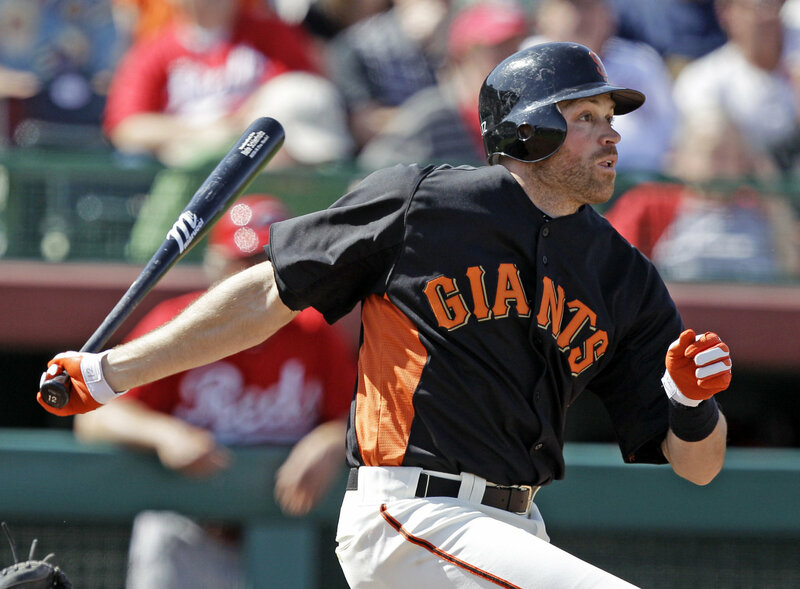 The bottom line is that Schierholtz played an important role on the Giants. He was a defensive specialist and a strong bench player who could come in to pinch hit and give the Giants a great at-bat. He was named the starter in right field a few times in his tenure with the Giants, but he was never able to consistently play in the starting lineup. Schierholtz has a natural power swing, and in a hitter’s park like Citizens Bank Park in Philadelphia, Schierholtz will definitely show off his power that he wasn’t able to fully display at AT&T Park. Giants fans wish him nothing but the best in Philadelphia, especially since the Phillies lack outfield depth, he will get the starts that he deserves. 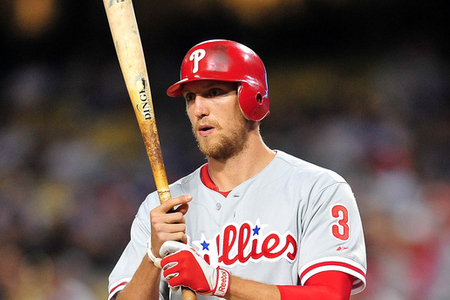 The main positive aspect of the trade that basically trumps all other aspects is Hunter Pence. The addition of Pence more than makes up for the loss of Schierholtz, who could never find offensive consistency, which cost him starts. His defense might not be as great as Schierholtz’ (although that’s an unfair comparison since Schierholtz’ defense in right field at AT&T Park is superior to anyone), but his hitting ability and his power is quite remarkable. In Pence’s career, he has hit a .290 average, .342 OBP, .481 slugging, 131 home runs, and 471 RBI’s. Pence is a two-time All-Star, and in 2011, when he was an All-Star, he hit a .314 average, .370 OBP, .502 slugging, 22 home runs, and 97 RBI’s. This season Pence is hitting .269, with 17 home runs, and 59 RBI’s. Pence, obviously, has incredible power and will fill the number five batting spot while Pablo Sandoval is out. The Giants needed outfield depth with Blanco and Pagan struggling, so Pence and his strong hitting will help the Giants immensely in their playoffs push. Hopefully, Pence can help the Giants win the NL West title.